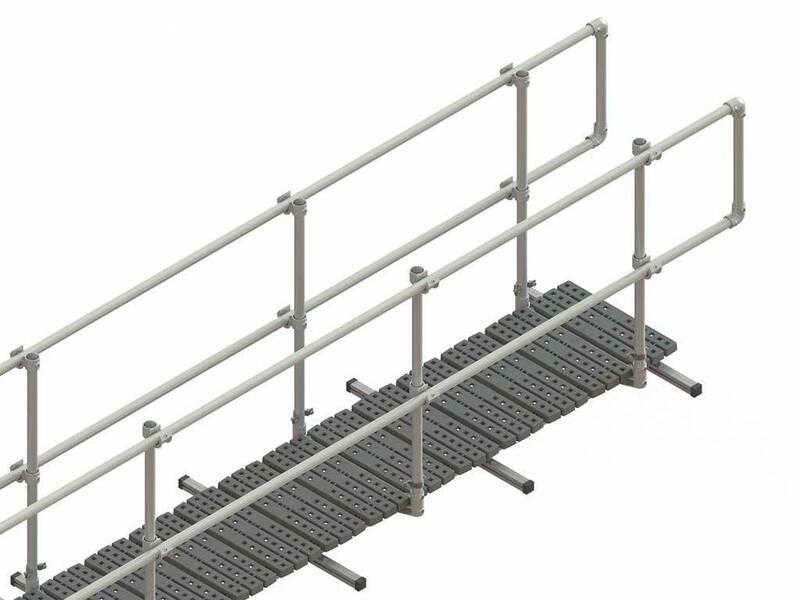 Allow Sesco Safety to design and install a safe walking surface with guardrail to keep your employees and contractors safe while accessing or egressing a rooftop. 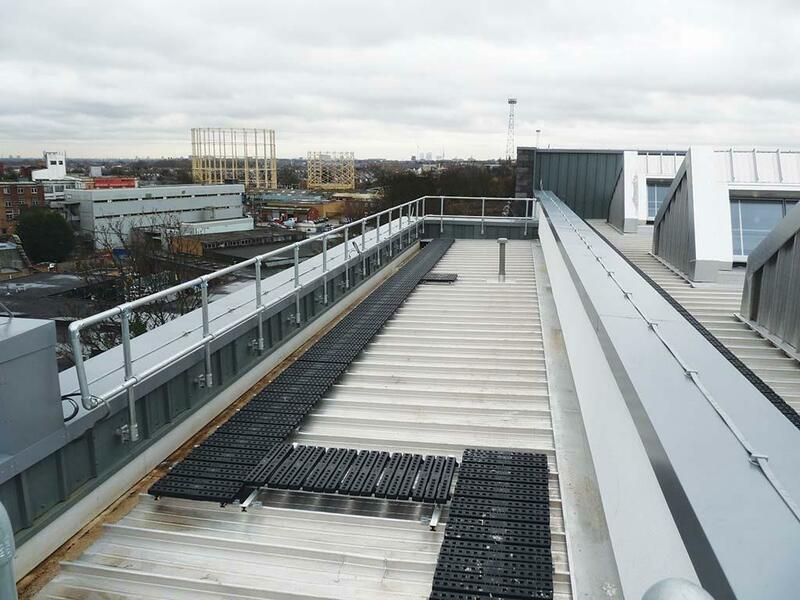 Our roof walkway with guardrail system is a fall protection solution consisting of walkway and integrated guardrail, which can be installed quickly and easily on a wide variety of roofs. 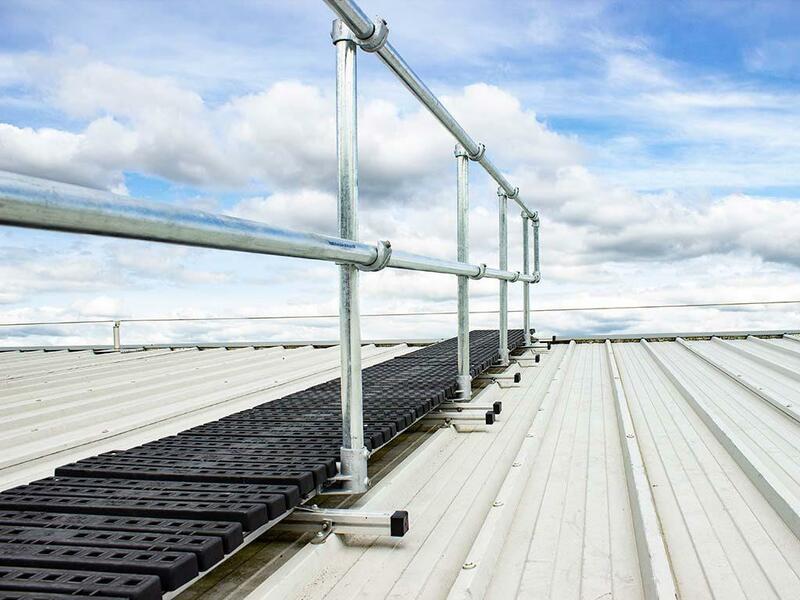 It is a safe, compliant and modular approach to guardrail protection and eliminates the fall hazard typically present when workers are exposed to an unprotected edge on a rooftop. 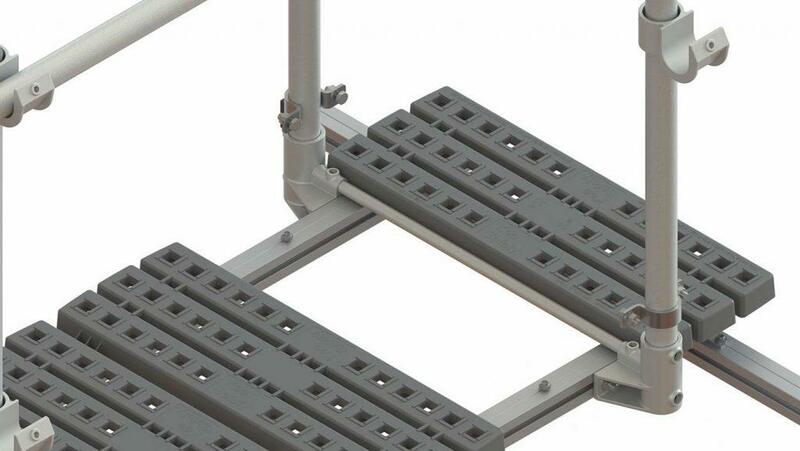 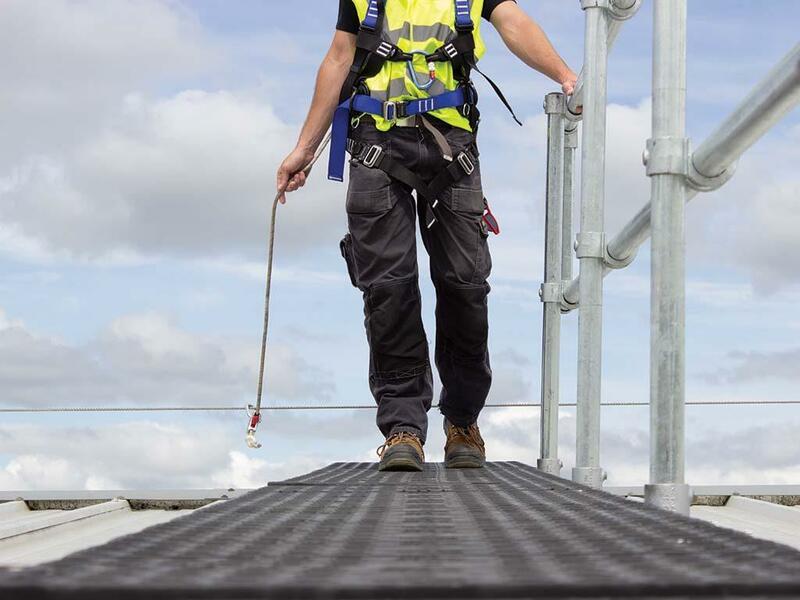 Sesco Safety roof walkway with guardrail is the most preferred fall protection system as dictated in the hierarchy of control measures as it provides the highest level of collective fall prevention for roof access and work at height. 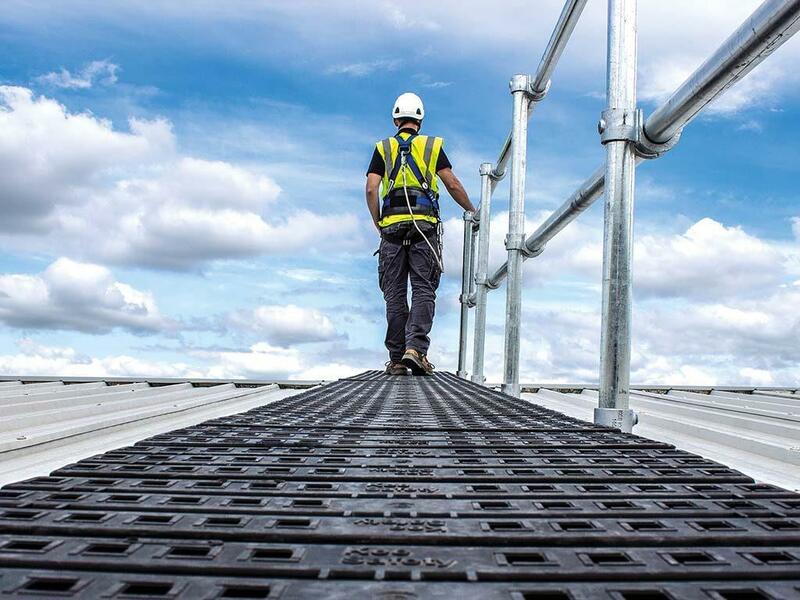 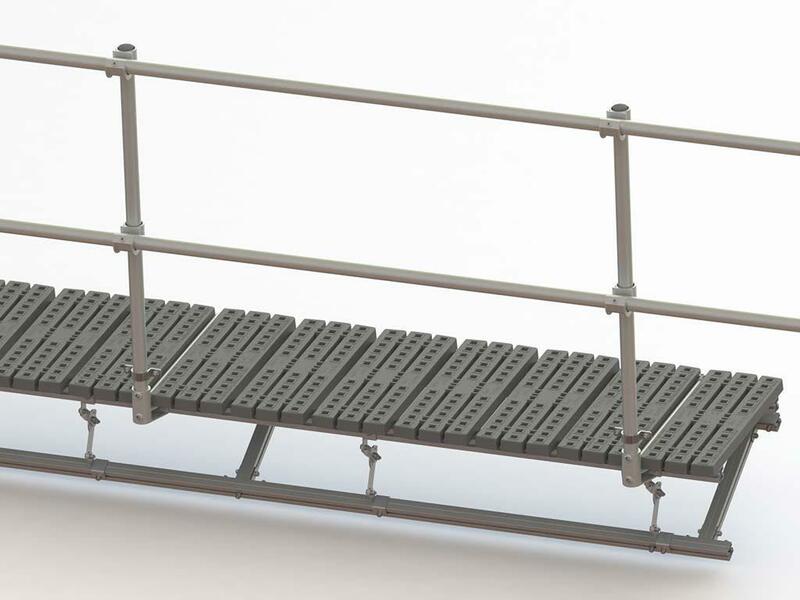 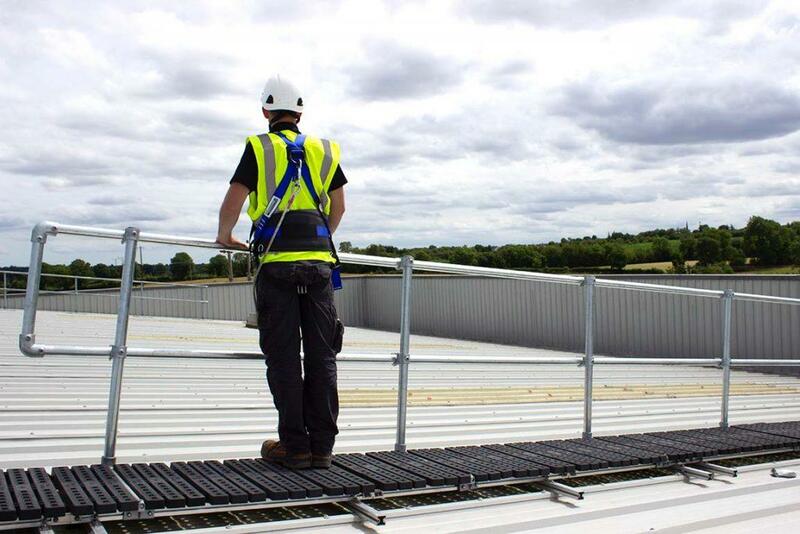 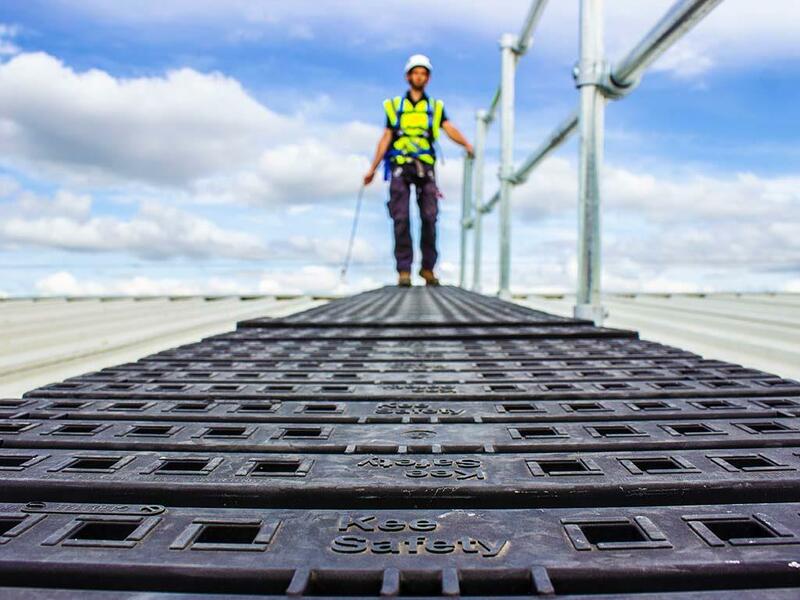 Roof walkway with guardrail provides a clearly defined and secure route across the roof keeping users safe from the associated hazards when working at height without the need for fall arrest personal protection equipment (PPE) or harnesses. 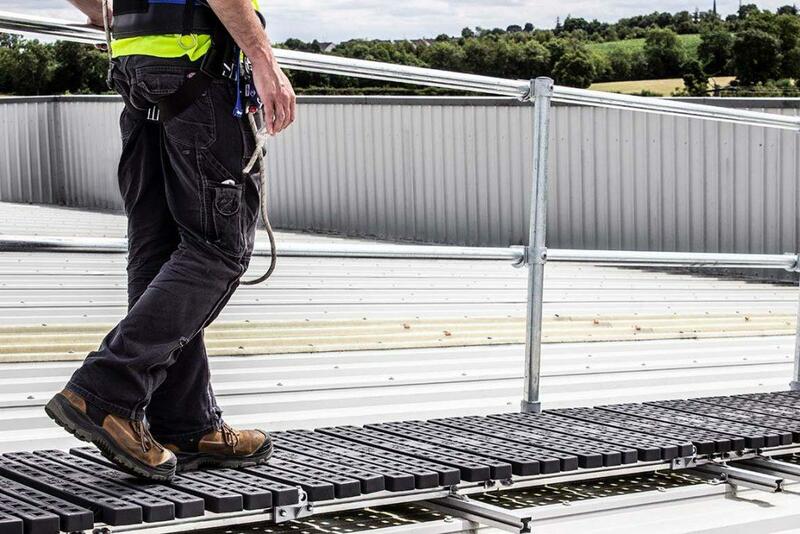 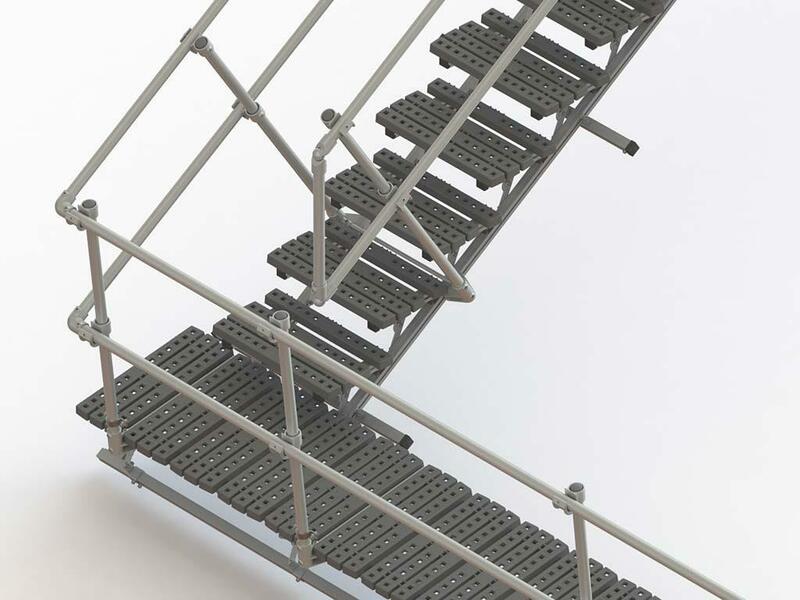 These walkways can be combined with our range of platforms, guardrail and steps to form a complete safe access solution. 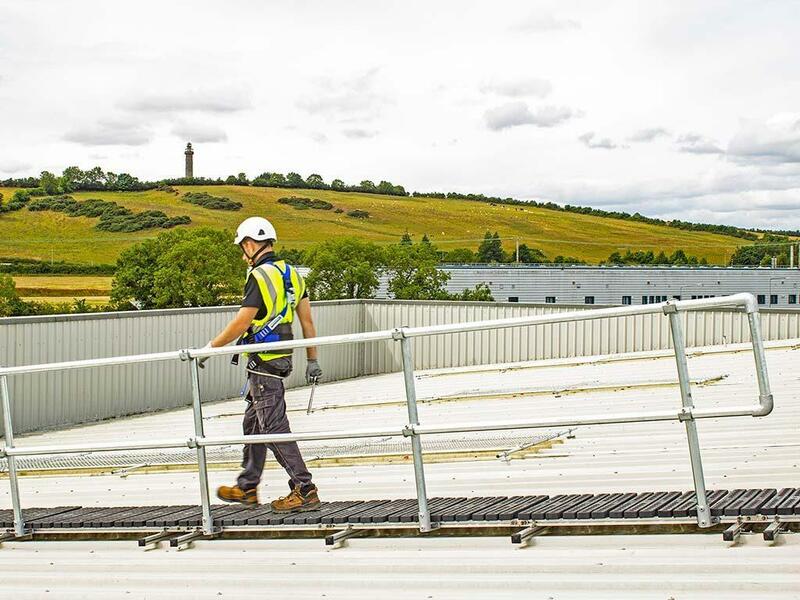 The connections to the roof are kept to a minimum reducing any possibility of roof leaks.